Lets get some games going here guys! 2 more and we will have a decent 3v3 going using Garena! Dota can be played without internet using LAN. When playing online you gonna have to use programs like battle.net or Garena, but I suggest battle.net first. There is a leveling system in DotA, up to level 25. Once the a match is over and you created a new match you will start from Level-0 again. Match can take from 30 minutes to 80 minutes. • A match of DotA consists of 2 teams, 5 players each team. • The good team is called the "Sentinels" and the bad team is called the "Scourge"
• And prevent the opposing team to destroy your important structure. • The Sentinel's important structure is called "Tree of Life", the Scourge's is called "Frozen Throne"
• The opposing team must defend their structure and destroy yours. • There are also other structures that will defend your important structure, which are called "Towers"
• As a strategy the team must also protect these Towers, for they are very powerful. • Each player will choose a character, which is called a "Hero"
• There are 100+ Characters/Heroes to choose from in the game. • A Killer, which is called "Carrier", is the one that kills other players in the opposing team. • A Killer can use physical damage or magical damage to kill other players. • A Killer can kill one player at a time, or multiple players at the same time. • A Support can increase/buff the Killer's attributes such as movespeed, damage, health, attack speed, and many other things. • A Support can also buff itself, turning itself a temporary Killer. • A Support can help the Killers kill by disabling the enemy player or multiple players at the same time. • A Support disables the enemy player by temporarily slowing their movement speed, reducing armor, stunning the player, removing their ability to fight, and many others. • A Support can also be a Killer, but only if they have a unique ability to be able to kill. • A Killer can also be a Support, but only if they have a unique ability to be able to support. • As a strategy teammates must support each other. • If a player's character dies, the character can be resurrected. • Resurrection's time depends on level, the higher the level the longer the resurrection time is. • An item can be either a consumable or an equipment. • There are other items that contain special abilities or skills that can be activated or passive. • To buy items, a player must have money, which are called "Gold"
• Gold can be earned the same way Levels can be earned. 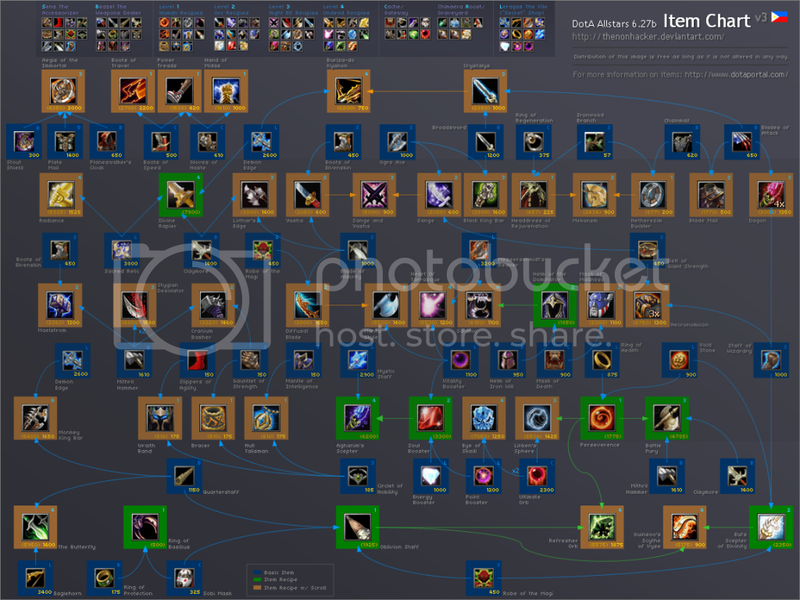 Guide to Items and their attributes - save to your desktop to enlarge! You can get both from me through xfire. "There are 100+ Characters/Heroes to choose from in the game." False, there's exactly 95 presently. what? i had to reset my comp back to factory settings? anyway i dled a different torrent and i am on patch 121a so i need to find the patches help me please. I will and you better wait for me before playing it.